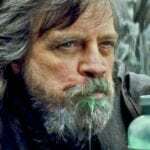 Arriving at the boat, Lisa is put off by its dilapidated condition, and the dismissive attitude of the skipper, Captain Taylor (Matthew Modine). She is again persuaded to participate, though, and the boat sets off from the coast. The two men they met at the bar dive first, after Captain Taylor pours bait into the water to attract sharks. Their dive concludes without incident, but when the sisters are lowered into the water inside the diving cage, the cable attached to the winch breaks, and the women sink to the ocean floor – 47 meters down, and out of radio contact. After a period of panic, during which they assess their rapidly dwindling oxygen supply, Kate exits the cage and swims upward seven meters to resume radio contact with the boat. Captain Taylor assures her that someone will dive down to reattach a cable, but that sharks are circling, so they should stay in the cage and wait. While they await their rescue, paranoia begins to set in, and they question whether they can trust Captain Taylor to respond to his moral obligation, or whether he might just sail off and leave them to die. They spot a torch in the distance, and Kate exits the cage once more to attract the attention of their rescuer. Kate becomes disoriented, though, and is chased by sharks. Their rescuer is killed by a shark, so Kate grabs the spare winch and manages to attach it to the cage – swimming back upward to radio the boat to pull them back up. The cable snaps again, and the cage sinks back down – trapping Lisa’s leg against a rock. Kate swims and communicates this to the boat, at which point Captain Taylor tells them the Coast Guard is an hour away, and he is sending replacement oxygen down to them. He warns that this may cause nitrogen narcosis, though – which causes hallucinations. The first half of the film requires the two women to place their trust in Captain Taylor, while the second half calls into question their ability to trust themselves. As hallucinations begin, it is impossible for them to distinguish between reality and imagination. 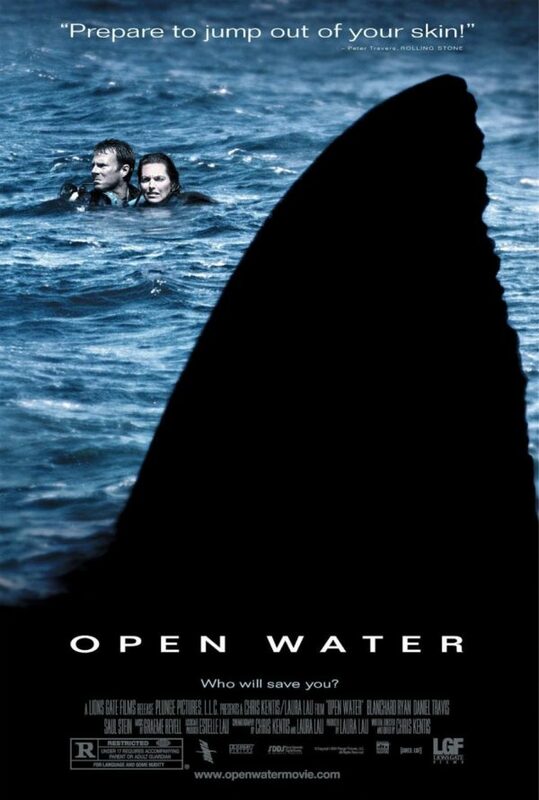 Of all shark movies, Open Water is a particularly unpleasant viewing experience – not least because it is inspired by real events. It is, however, highly effective in telling a tale of futility, and the epic hubris of the human race. Written and directed by Chris Kentis, Open Water takes its premise from the well-publicised, very real tale of Tom and Eileen Lonergan, who went on a scuba-diving trip to the Great Barrier Reef in 1998, and never returned. It is alleged that the excursion operator failed to execute an accurate head-count of the group returning to the boat, and that the Lonergans were left behind when the vessel returned to shore. The same fate befalls the couple in the film – Daniel (Daniel Travis) and Susan (Blanchard Ryan) – but the film fills in the blank, and depicts a likely fate. Daniel and Susan are aware that, due to hectic lives and working schedules, their relationship needs some attention. This prompts them to book a scuba-diving holiday, as a bonding experience. They join a group of 20 divers, and dive for about 30 minutes. At one point, they separate from the group, without realising that the group then surfaces and boards the boat without them. When Daniel and Susan re-surface themselves, the boat is gone. The staff aboard the vessel miscount the number of passengers returning, fail to double-check, and set off for shore in the belief that everybody has been collected. Stranded in open water, Daniel and Susan reach a number of conclusions. Firstly, the boat is not coming back; secondly, they have drifted a significant distance from their original dive site, so even if the boat did return, they would likely not be found; and thirdly, sharks are beginning to circle them. 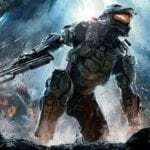 They cycle through various stages of panic and grief, and their wet-suits delay the pain caused by the fact that various small fish are beginning to eat them alive, while they are also being stung by jelly-fish. 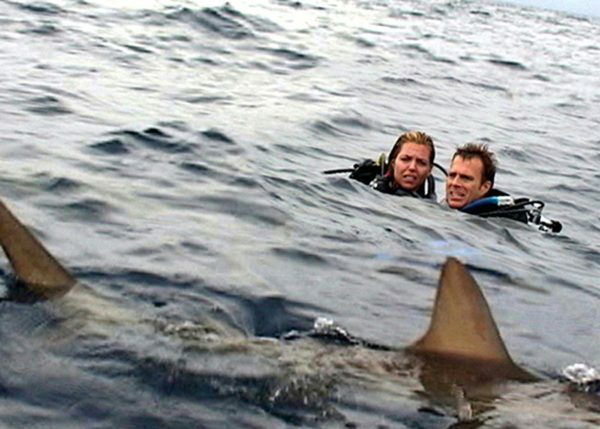 Eventually, a shark strikes Daniel, and he is killed during the night – although Susan continues to hang onto him. In the morning, she realises he is dead, so she lets go of his suit and the circling sharks devour his corpse as he floats away. Susan puts her diving mask back on and looks underwater, to see that the sharks are moving toward her. Alone, and with all hope lost, she purposefully allows herself to drown, so as not to be eaten alive. 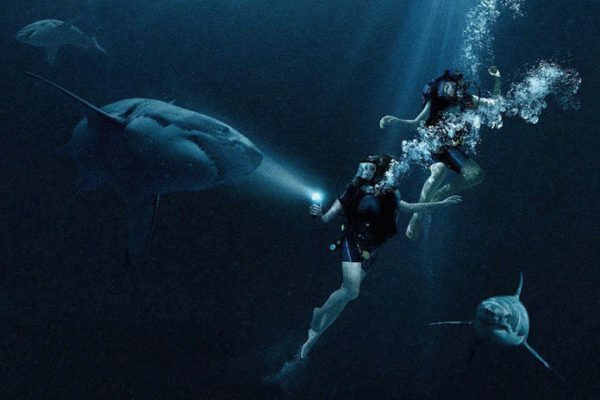 Later, fishermen are slicing open a shark, and find the underwater camera belonging to Daniel and Susan, inside its stomach – and they speculate about whether or not it might still work. The bonding experience sought by Daniel and Susan – intended to save their relationship – results in their gruesome deaths, because they opted for an activity that was beyond their egos. The couple were over-confident enough to think that they could split from the group of divers and that the group could be relied upon to notice they were missing. There are two elements at play here: firstly, the ego of humanity, in believing that technology allows for the exploitation of natural underwater habitats, for the purpose of tourism; and secondly, the ego of the individuals to be so wrapped up in their own experience, that they do not pay attention to those around them. Daniel and Susan are seeking an activity that will allow them to bond with each other, but they fail to bond with anyone else in their diving group enough that anyone would notice they were not on the return boat trip. At the same time, rather than using the experience to bond with nature, they exploit a delicate eco-system for their own purposes – regarding it as a challenge to conquer an inhospitable environment, rather than respecting it as it as the territory of other creatures. Ultimately – and as a consequence of their hubris – Daniel and Susan become a part of that eco-system, which is not the kind of bonding they had in mind, but is bonding nonetheless. Yous want all sharks killed so you can swim? Get over it sharks were here first. More chance of being savaged by a dozen oysters or a rockmelon. Always enjoyed shark based movies as a bit of escapism and entertainment. The last two I watched were a mixed bag. 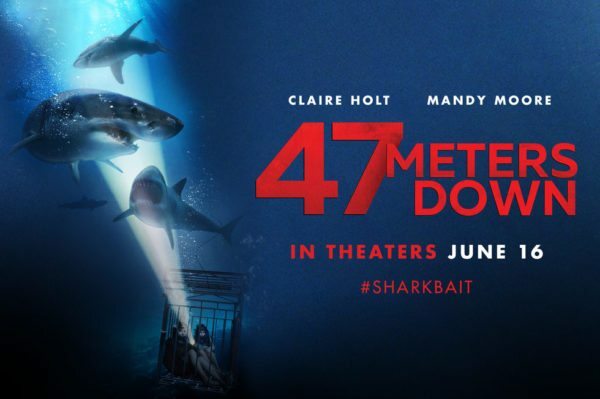 ii) 47 metres Down, pretty poor in my books, hardly any shark time on screen – kind of defeats the point. Look forward to Deep Blue Sea 2.